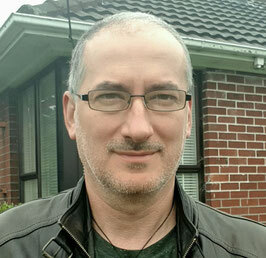 Alex Plescan (Romania/Australia) is a Romanian writer who lives in New Zealand. Born in 1967, he made his debut in literary magazines in 1981. Alex published prose, poetry, essay and critique and one of his plays was staged in Bucharest for three years. He is a co-founder of the Literary Club, a new aesthetical movement launch in Romania in the early 90s. Alex writes in Romanian and English. His latest book is SANDU - short stories, published by Tracus Arte in 2016.